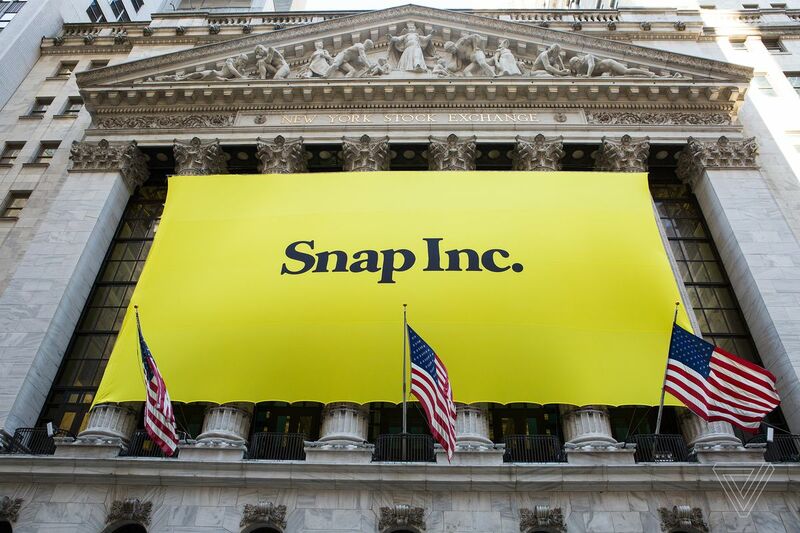 Snap Inc (NYSE: SNAP) stock rose 25.6% on Feb 6th, 2019 (as of 10:38 am GMT-5 ; Source: Google finance) after the company posted better than expected results for the fourth quarter of FY 18. Operating loss improved $166 million to $(195) million in Q4 2018, compared to the prior year. Net loss improved $158 million to $(192) million in Q4 2018, compared to the prior year. The operating cash flow improved $50 million to negative $126 million, compared with Q4 2017, and improved $6 million, compared with Q3 2018. The year-over-year change in operating cash flow is driven by a $109 million improvement in adjusted EBITDA, offset by changes in the timing of working capital. SNAP has ended the quarter with $1.3 billion of cash and marketable securities. SNAP in the fourth quarter of FY 18 has reported the adjusted loss per share of 4 cents, beating the analysts’ estimates for the adjusted loss per share of 8 cents. The company had reported the adjusted revenue growth of 36 percent to $389.8 million in the fourth quarter of FY 18, beating the analysts’ estimates for revenue of $377.52 million. The revenue growth was driven in part by new ad formats like unskippable commercials on its original shows, which are housed on the Discover page, a panel on the app that contains publisher content along with influencer content. Moreover, during the fourth quarter of 2018, DAUs were 186 million compared to 187 million in Q4 2017 and 186 million in Q3 2018. In Q4 2018, our iOS DAU increased both quarter-over-quarter and year-over-year, and average time spent on iOS grew faster during Q4 2018 than during Q4 2017. SNAP has reached over 70% of the total 13- to 34-year-old U.S. population with premium mobile video ads on a monthly basis. On average, over 70% of users played with or viewed a Lens every day. Users played with or viewed Lenses 700 million times on New Year’s Eve, up nearly 40% year-over-year. Further, average revenue per user increased to $2.09, an improvement of 37% year-over-year and 31% sequentially. Countries outside of North America represented 31 % of total revenue, compared with 23% in Q4 2017 and 30 % in Q3 2018. In the fourth quarter, Snap has beaten Wall Street estimates with 186 million daily active users, flat with the previous quarter and down 1 million from the same period a year ago. Analysts’ average expectation was 184.91 million, according to Refinitiv data.